Sorry it has taken a while for 2019's first instalment of the Bushcraft Education blog to hit the net but family time, deer stalking and a busy teaching schedule and a hectic last month of the shooting season has kept me very busy. Family time at Christmas and New Years is important and has had to take precedence over blog writing recently. Out deer stalking on New Years Day, rising earlier is a lot of peoples new years resolution, I've never had a problem with it as long as there is some stalking to do, traps to check or a good view to be had. These new years day outings have become a bit of a tradition for my Dad, brother and I and I was lucky enough the Sallie came with me on this outing too. Between us we got three Chinese Water Deer and saw the first sunrise of 2019 in person, which was far more spectacular than the fireworks just a few hours earlier. After this brief absence though we are back and have some exciting things in store for 2019. 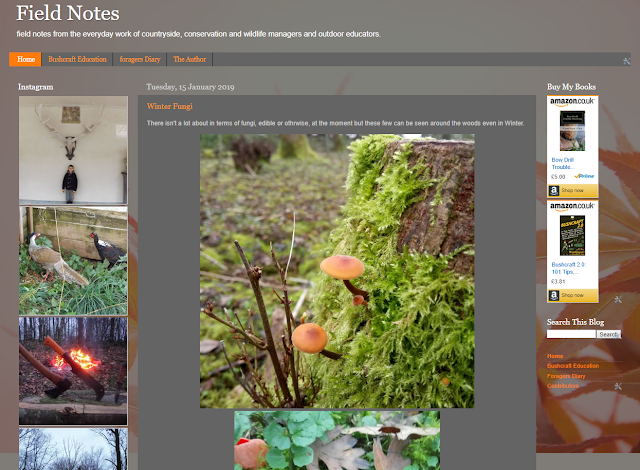 The first announcement we have is the launch of a new 'micro-blog', the foragers diary blog has been growing in popularity since I established it in 2016 so this year I decided to start another one dedicated to nature observation, it can be found at countrysidefieldnotes.blogspot.com and will feature regular updates from me and from other members of the bushcraft education team. It will be in a similar format to the foragers diary blog; short posts with pictures of our observations of nature and wildlife and the countryside management activities we are involved in. I hope this new blog will be a success and that you enjoy it but I will also be closing one of the other micro-blogs. Geoff Bushcrafts was an attempt to show my daily practice of bushcraft skills in but I just haven't had time to make the most of it and so to concentrate on my other projects I will be closing that one down and instead of micro blog posts about the bushcraft skills I use on a daily basis I will spend a bit more time this year creating in depth articles and content for the bushcraft basics pages on this site and on getting some high quality posts prepared for the applied bushcraft series rather than the cursory mentions that it would get on the Geoff Bushcrafts micro blog. Also there are just times when snapping pictures and sending out a post just isn't appropriate so I wasn't posting any where near as often as I needed to to make that particular blog a success, so it will soon be taken offline. The content will remain there for a little while but in the next few weeks it ill be gone. Instead we will be putting a lot more practical and skills based bushcraft posts onto the main blog here to make up for it. Also the content on 'Geoff Bushcrafts' was often, if not always duplicated on my instagram account so you won't miss out on anything if you follow me on instagram. This is something you can look forward to this year though; a new lease of life for the applied bushcraft series, where we discuss topics such as traditional woodland management, wildlife management and other professions or pastimes which still require ye olde bushcraft skills. There will be some guest contributors to that series and I will be making a concerted effort to improve the bushcraft basics pages and will also provide links to my writing elsewhere on the web to broaden the selection of articles on bushcraft skills that you can reach through this blog. 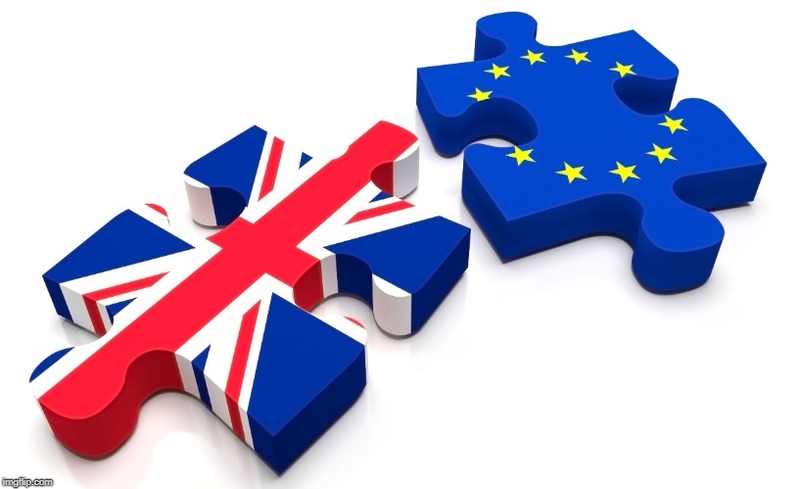 Brexit is at the forefront of the news in the UK at the moment and given all the worry about it and the 'prepping' that some are doing to prepare for it is relevant to the Bushcraft and Survival in the News posts that I started last year. I had promised these posts monthly after the initial quarterly release proved popular but that was impossible to deliver at the time. I do intend to follow that pattern this year though and will release one on the last Friday of each month in addition to one that will appear this Friday featuring news from the last part of 2018 and the beginning of 2019. As well as all this you can also look forward to the usual content with monthly posts on gear and foraging as well as a mix of educational and instructional posts on bushcraft, survival, traditional skills and outdoor learning. There will also be some real life teaching to engage with as well as I will be delivering some courses for the Field Studies Council again this year. 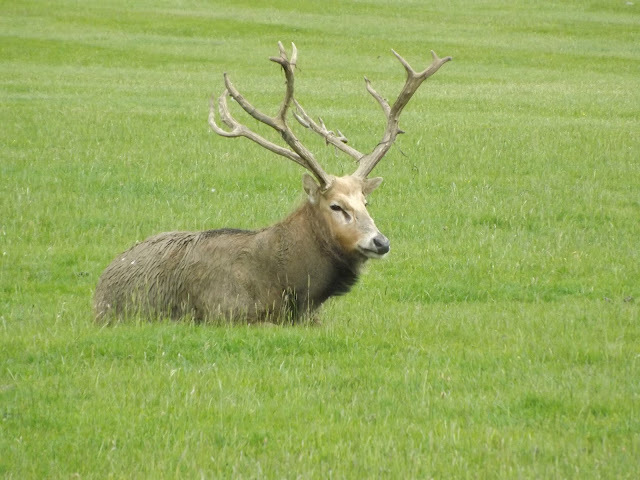 The Deer Ecology course at Kindrogan was popular and successful last year, all the participants were able to see wild red, roe and fallow deer and we also visited the Cairngorm Reindeer Centre. Due to circumstances beyond my control though this course will probably take place at Margham in South Wales this year although I hope to return to Kindrogan for future courses. Margham will be an excellent alternative venue though as they have a deer herd of red, fallow and most interestingly Pere David on site. I will also be delivering a bushcraft course for the FSC, probably at their Millport centre on Great Cambrae in the Firth of Clyde. As soon as possible I will post links here so you can book a place on those courses. Have a great 2019 and I hope you enjoy what I have in store for you on the blog.